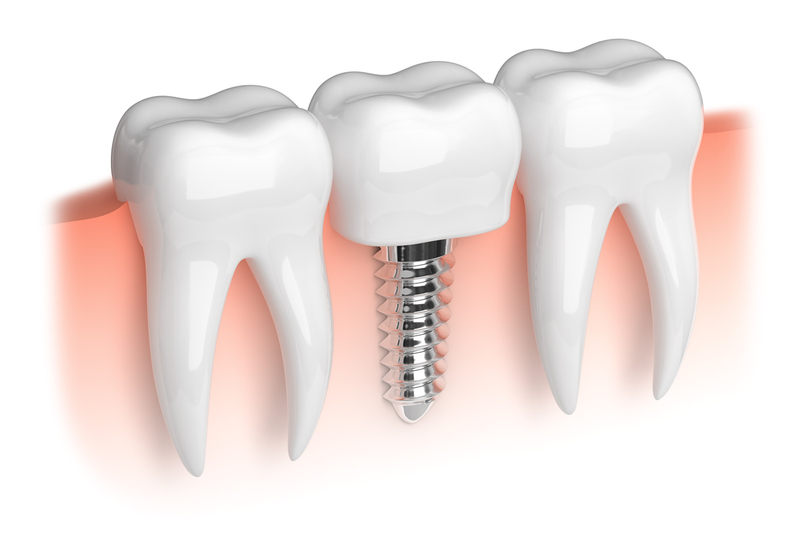 Dental implants are an advanced way of replacing missing teeth. A titanium screw is surgically placed into the jaw bone and acts as a root for false tooth/teeth. As a finished result, the implant acts as a natural tooth would, and neither the patient or anyone else should have any hint that an implant is there. All that is visible is the 'tooth'. To have a functioning set of teeth can greatly improve your quality of life. Having your teeth helps give shape and support to your whole face. With dental implants you'll have more confidence to smile and even be able to bite an apple! Most people in reasonable health are suitable candidates. With modern techniques, even patients with reduced bone volume or sinus (air) cavities can now have implants. Bone reconstruction and sinus lifts allow patients with these issues to be treated. There should be no more discomfort that having an extraction. In fact, most patients don't notice the implants are there as early as the day after insertion. Implants are produced mainly from titanium or titanium alloy, the material least likely to be rejected by the body's natural immune response system. They are a replacement for the root of a tooth that has been lost, and are perfectly safe. Implants usually last for up to 15 years with proper maintenance and should last longer than any other form of treatment. By comparison bridges on original teeth will usually only last for 8 years. With good oral hygiene, as with your natural teeth, implants will last even longer. Implant procedures usually require 3 to 5 visits, but in certain cases further appointments may be necessary. After the initial consultation, the actual placement of the implant(s) takes around 1 to 2 hours, there would then be a period of 3 to 6 months to allow the implant(s) to heal and fully integrate into the bone tissue. Once healed, impressions can be taken for permanent crowns, bridges or dentures to be made in a laboratory. The overall treatment time doesn't usually exceed 9 months. A temporary tooth/ teeth will be fitted during the treatment period for aesthetic reasons. It’s reassuring to have a top-notch dentist and the whole team are great!